Safe at Second. And Now a Few Moments With Derek Jeter. Gordon Beckham was a rookie infielder with the Chicago White Sox when he had his first chance to chat with Derek Jeter at second base. It was Aug. 1, 2009, and Beckham had just hit a double, knocking the pitcher out of the game. 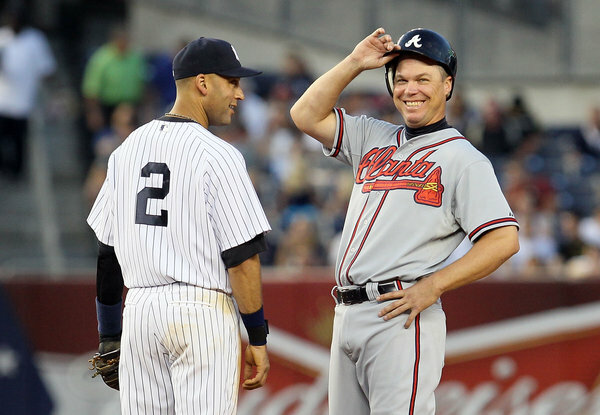 During the pitching change, he and Jeter engaged in the typical mundane banter to fill the gap. But talking to Jeter, the Yankees' shortstop, Beckham said, was different. He admits he was star-struck. "He was the only one who made me feel that way," recalled Beckham, who is now with the Los Angeles Angels, "and I felt that way so much, I forgot how many outs there were." The next batter hit a ground ball to Jeter, who threw to first for the second out. Beckham, still distracted from his conversation with Jeter, thought it was the final out. He wandered off third base and handed his helmet to the third-base coach. Mark Teixeira saw it and threw to Alex Rodriguez, who tagged the embarrassed Beckham for the third out. Few things in baseball are more routine than the casual conversations between infielders and base runners, small talk that is akin to the banter of colleagues on an elevator. But for opposing players, these conversations with Jeter — either when he is playing shortstop or on the bases — have become cherished moments, and never more so than in the last few months as the end of his 20-year career approached. In recent weeks, several unusual scenes at second base have played out in major league ballparks, reflecting the respect Jeter commands from his peers. One such moment took place on a sweltering August night in Kansas City. As Jeter stood on second during a Royals pitching change, the shortstop came over to chat with him, followed closely by the second baseman — then by the first baseman, Billy Butler. It almost never happens that a first baseman goes all the way to second to join the conversation, but Butler made the trip, even though he had just paid his respects to Jeter at first. He wanted more. "He just talked about how hot it was," Butler said. 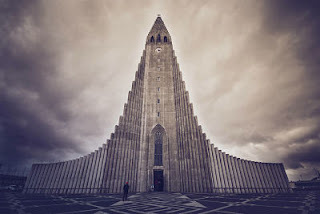 "That it was really hot. He said he'd see us next week when we're playing him. I told him at first base it was an honor to be next to him. And how much of a mentor he's been to everybody and stuff like that. But at second base, it was just kind of small talk." 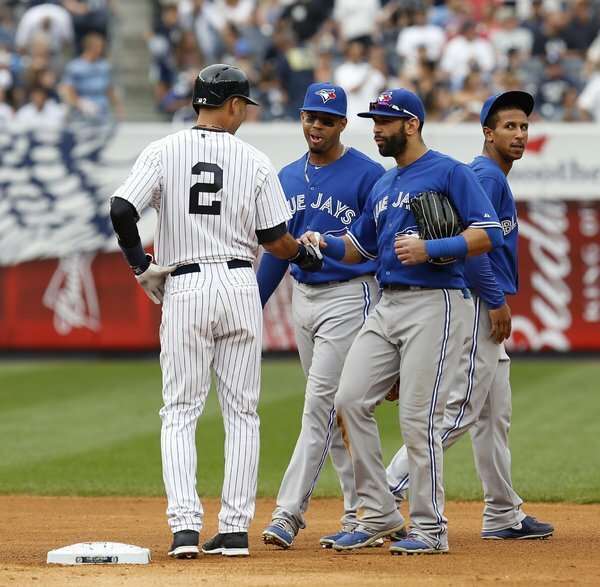 On Sunday at Yankee Stadium, in another unusual gesture, Jeter was on second base during a pitching change when all three members of the Toronto Blue Jays' outfield, including the slugger Jose Bautista, jogged in to shake his hand and congratulate him on his imminent retirement. Although he is cautious when speaking to the news media, Jeter is one of the chattier players on the diamond, but he said the recent conversations with opposing players have not been out of the ordinary. "No," he said, "same old." Sometimes the topic is the weather, sometimes it is that day's game, or the stuff the pitcher has that day. Players say he is always ready to say hello, or pay a quick compliment, and is unfailingly upbeat. "He said, 'Keep going, guys, and continue to play hard,' " said Alcides Escobar, the Royals shortstop on that hot night in Kansas City. " 'I'm proud of you guys. You guys are playing good. This is my last year. I want to rest and be watching you guys on TV.' "
That last part may not be true; Jeter has said many times that he does not watch baseball on television. Still, for many younger players, he is often there with a word of encouragement. One day a few years ago, he had high praise for Ian Kinsler, the Detroit second baseman who was then playing for the Texas Rangers. "I got to second base once after hitting a double, and he said, 'Hey, man, you're my favorite player,' " Kinsler recalled. "He said: 'You're swinging it great right now. Keep it up.' But I think he says that to everyone." "He never said that to me because I was never on a streak like that," Beckham said. Years ago, when Bautista was a little-known minor leaguer in the Pirates organization and playing in a spring training game, Jeter said hello to him when he reached second base and told him to keep up the good work. "You always got the sense that he knew what was going on with you," Bautista said. "He'd give that customary wink and say great job, you're looking great, keep it up. To hear it from a guy like that, you know, for him to basically acknowledge your existence, it means so much more." 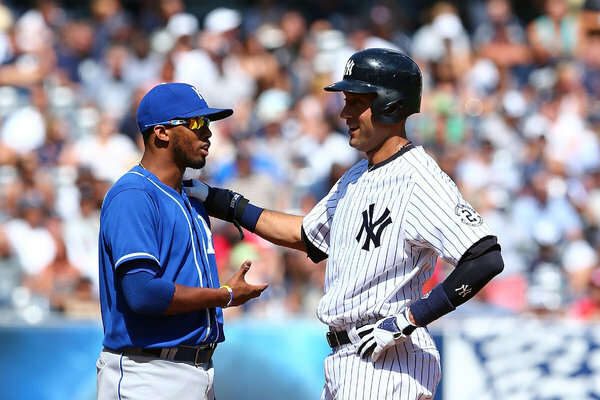 Some veteran players have relationships with Jeter dating to the 1990s, and their interaction with him may go beyond the friendly banter. 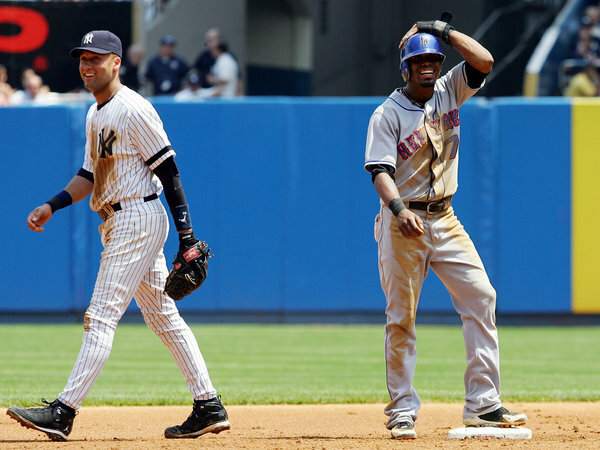 Torii Hunter has played in the American League against Jeter since 1997, including many playoff games. One time they discussed the fact that Hunter's cousin Kendra was two years behind Jeter at Kalamazoo Central High School, and like Jeter, was a varsity basketball player. But often their conversations were of a different nature. "I can't tell you what we talk about because you can't print it," Hunter said with a big laugh. Jeter, who turned 40 this season, has long been playfully defensive about his age, whether with reporters, teammates or opponents. In 2011, Blue Jays center fielder Colby Rasmus hit a double in his first series against the Yankees and was greeted at second base by Jeter, who congratulated him. Rasmus told Jeter that in 1999 he was part of a Little League World Series delegation that was honored at Yankee Stadium. "What are you trying to tell me?" Jeter said in mock annoyance, as if Rasmus were highlighting Jeter's advanced age. Rasmus nervously tried to recover, but said all he could do was mumble and stammer. Jeter let him off the hook with a smile. "You know he's still trying to beat you, but he makes you feel like you still like him," Rasmus said. "He's beating you, but you still think he's a cool guy." It could be said that all of these interludes might be intended to distract the opponent into making a mistake, as Beckham did. Perhaps, but the players, like the fans, still want their chance to talk to Jeter. "Wherever he goes, whether it's second base or somewhere else, everyone is expecting him to be Derek Jeter, and he always delivers," said the veteran White Sox player Paul Konerko, who is also retiring after the season. "He's always that guy, but he's professional about it. He'll say hi, and if there's time, you talk. But you know he really wants to beat you."